The District Attorneys of Brooklyn and the Bronx declared yesterday that they had smashed New York City’s biggest arson-for-profit ring involving landlords and announced the indictment of 15 men. The men were charged with burning eight apartment buildings and conspiring to burn 10 others over the last four years. Seven of the eight buildings actually set afire were occupied at the time of the arson, although there were no fatalities. Minor injuries were suffered by a total of six firemen at two of the blazes, the offi­cials said. Thirteen of those indicted were de­scribed as landlords or people involved in various aspects of the real estate busi­ness. The two others were believed to be “torches” — people who actually set the fires — according to the District Attor­neys, Eugene Gold of Brooklyn and Mario Merola of the Bronx. One of those indicted was Bruce Elliott, a 35-year-old attorney and former chair­man of Community Board 15 in Brooklyn. Mr. Elliott, who was described as a part­ner in various property holdings, was charged with arson, conspiracy to com­mit arson, presenting a false insurance claim, reckless endangerment and at­tempted grand larceny. The charges stem from a fire at a Har­lem building and from alleged conspira­cies, which were thwarted, to set fires at three other buildings — in the Bronx and in the Crown Heights section of Brooklyn. Crown Heights is not one of the areas cov­ered by the community board that Mr. Elliott once headed. That community board represents such solid middle-class Brooklyn neighborhoods as Sheepshead Bay and Manhattan Beach, where Mr. Elliott lives. Mr. Elliott could not be reached for comment yesterday because, like most of the others indicted, he was still in custody late in the day, pending arraignment on the charges against him. Another of those indicted, on charges similar to those facing Mr. Elliott, was Joseph Bald, 51, of Far Rockaway, Queens. He was named in alleged schemes involving fires or planned fires involving buildings in Crown Heights, Harlem and the West Bronx. Mr. Bald is also scheduled to go on trial tomorrow in another arson case in Queens. Mr. Bald’s attorney, Jay Goldberg, said his client denied the accusations in yesterday’s indictment. In 1971, Mr. Bald pleaded guilty to charges that he had par­ticipated with an aide of Senator Hiram L. Fong of Hawaii in a conspiracy to quash a Federal stock fraud case that al­legedly involved organized crime. He was sentenced to four months in prison in that case.At the news conference in Mr. Gold’s office, the District Attorneys charged that the motives of the alleged arson schemes were to collect the fire insur­ance on the buildings and then apply for government subsidies and loans to reha­bilitate the properties in highly profitable ventures. Mr. Merola contended that the practices of insurance companies and Federal housing agencies inadvertently fostered such schemes. 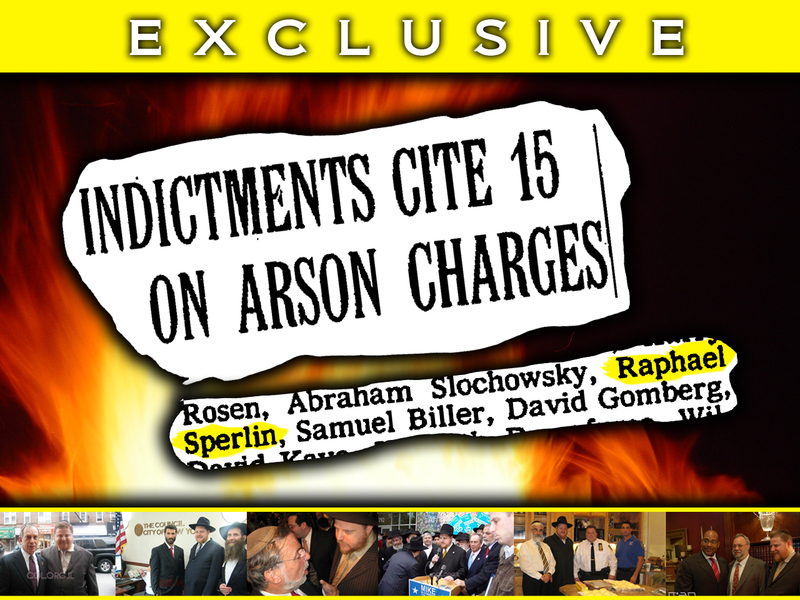 The others indicted were two men who allegedly set the fires, Jose Ayala and Edwin Garcia, and the following real-es­tate people: Chaim Fruchter, Harry Rosen, Abraham Slochowsky, Raphael Sperlin, Samuel Biller, David Gomberg, David Kaye, Kenneth Passafume, Wil­liam Rosen, Ernest Conforte and Robert Schindelman. None of them could be reached for comment. Other neighborhoods involved in the al­leged plots were in the South Bronx, East New York and Brooklyn and on the West Side of Manhattan. Tower Ladder 31 waits for water as heavy fire extends from the 3 floor to the 5th floor in this 5 story vacant apartment building. 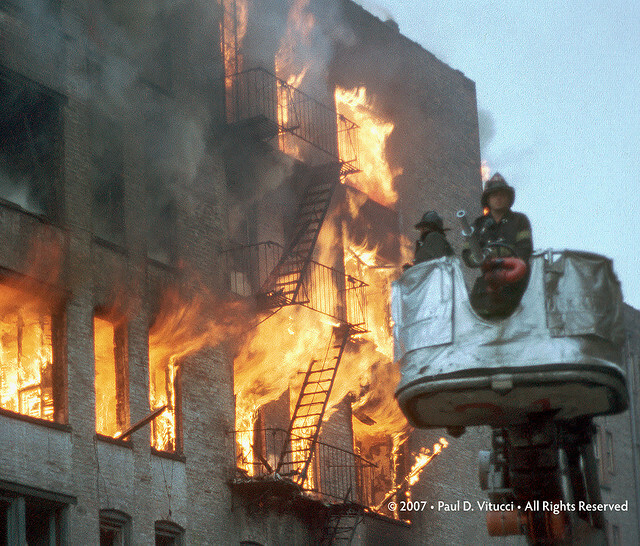 During the arson for profit days of the 1970’s this was a common site in many Brooklyn and Bronx neighborhoods. This all hands fire (1 alarm) was brought under control utilizing an exterior attack with two extra tower ladders. If you have evidence to back up your claims, please scan and send. Again WIS thanks those who have produced documentation thus far. This entry was posted on January 23, 2011 at 2:20 pm and is filed under Chanina Sperlin Family, Exposed. You can follow any responses to this entry through the RSS 2.0 feed. You can leave a response, or trackback from your own site. Chanina is following the Sperlin family mesorah of burning his fellow Jews. Chanina, following in the Sperlin family tradition of burning his fellow Jews, figuratively speaking of course. Now I see why the Mossrim are in such a rush to make everybody else criminals, they think that if everybody had the same blemish as them then we wont notice the blemish on them. Now I understand why they so eager to lock up good innocent outstanding people. Thanks you WIS for exposing this to the community. The people must know the truth.